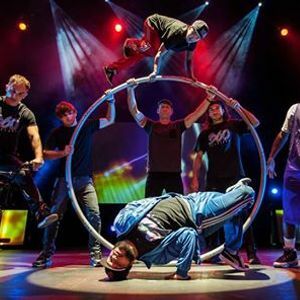 A phenomenal physical performance exploring all forms of rotation, 360 ALLSTARS connects the street with the elite to deliver a supercharged urban circus. Boasting a stellar international cast, including the two time World Champion BMX Flatlander, two World Champion breakdancers, an internationally acclaimed basketball freestyler, and a World Record holding roue cyr artist, 360 ALLSTARS is a spectacular fusion of the extraordinary artistry that emerges from street culture. Add to this a stunning live soundtrack delivered by NZ's 'X Factor' Winner, Beau Monga, and award winning master musician, Gene Peterson, coupled with spectacular video projections, 360 ALLSTARS is as aurally exciting as it is visually astounding. 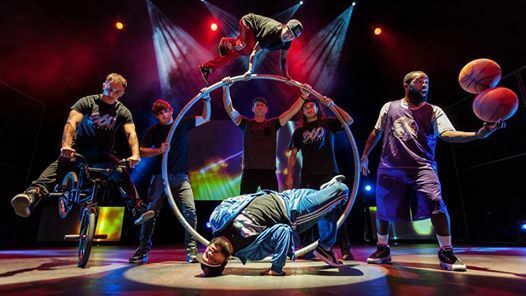 A magnificent, colourful and astonishing expression of a generation that has reinvented public performance, 360 ALLSTARS is a revolutionary production that will leave you dizzy with excitement!